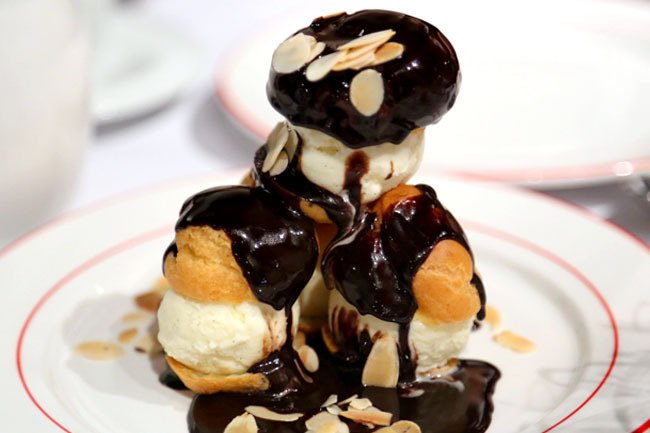 L’Entrecôte is evidence that a restaurant can survive on one thing, and doing it really well. The concept of L’Entrecôte is indeed straight forward – to serve just one type of steak, with a time-tested secret buttery sauce that keeps people coming back. 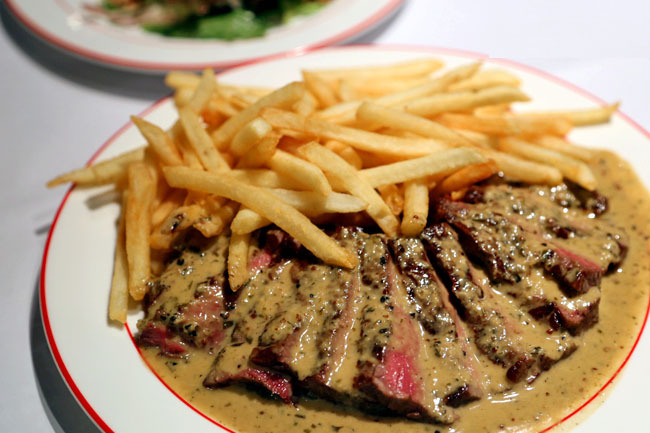 The word entrecôte in French means “between the ribs”, created in the city of romance Paris during the 1930s. Unlike other steak restaurants where you can choose your cut, L’Entrecôte serves the cut of the steak in between the sirloin and ribeye, which is the traditional definition of “Entrecôte” steaks. The only choices you have are bleu (rare), saignant (medium rare), à point (medium) or bien cuit (well done), or if you want a Light ($19.90++), Classic ($29.90++) or Large ($39.90++) portion. If diet is on your cards, the Light version will still be satisfying (plus there is unlimited fries), but meat-lovers can still to the large – which is not overly steep. At first I was rather sceptical, since I am used to the traditional steak-eating ways of cutting up an entire slab. Won’t the slices be too tough and one-dimensional? With the steak already cut up into mid-thin trimmed slices, all you need to do is to dig into the pinkish red meat, sweep it across the secret brownish herb sauce, and savour it in its tenderness. Though the fat content being extremely low, and therefore corresponding lean and somewhat ‘muscular tasting’, the meat is still easy on the chew and flavourful. Medium or medium rare is what I would recommend – pinkish yet not too bloody. Although a fellow steak lover friend said she would try rare on the next occasion. 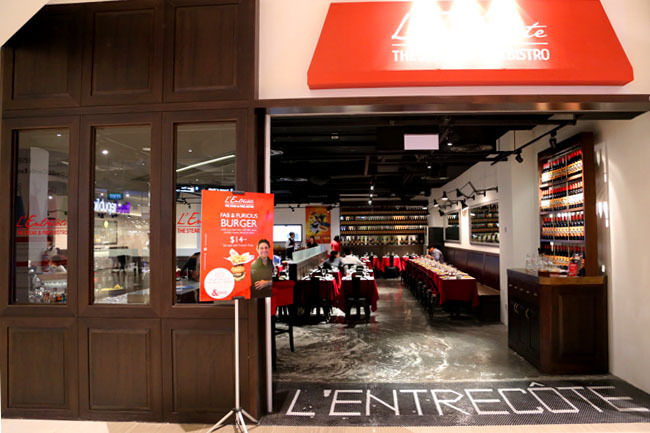 At this new branch of L’Entrecôte Suntec City, all sets are served with a welcome drink of Kir (French cocktail made with blackcurrant liqueur topped up with white wine), fresh walnut green salad and unlimited golden crispy fries made with BF15 potatoes. Unlimited. Yes, all you can eat fries – which is a really good deal for the price you are paying, and you can practically sit here for the entire noon. 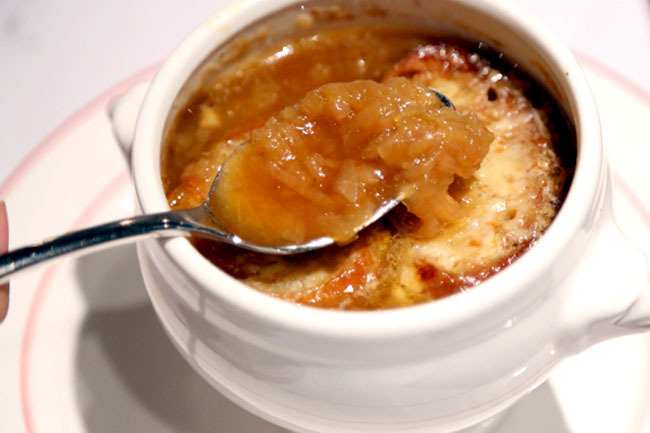 Executive Chef Damien Le Bihan expanded the menu to include 8 starters and 15 desserts, most of which are quite representative of French cuisines, such as the Escargots de Bourgogne ($16), ‘L’Entrecôte’ Duck Rillettes ($16) and Soupe à l’oigno, a classic French onion soup with cheese toasts ($8). 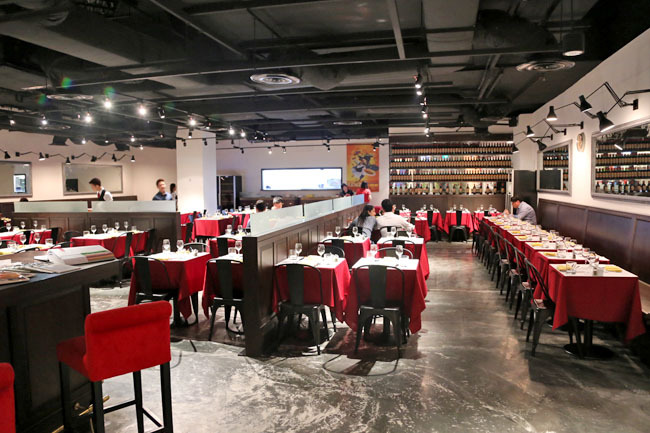 The rest of the menu are generally average crowd-pleasers, though won’t strike as much as impression as the signature steak dish. 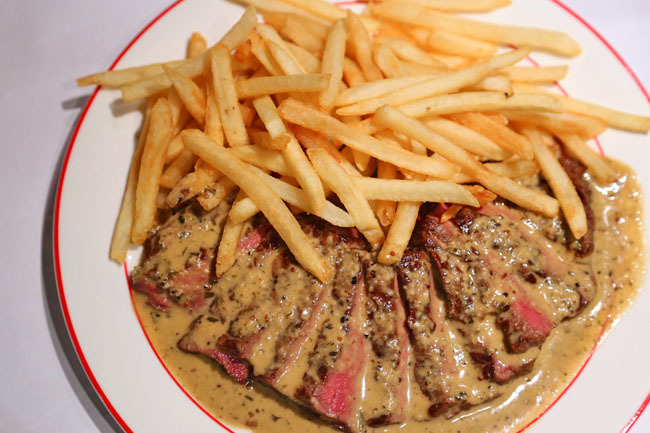 L’Entrecôte has recreated this simple Parisian dish rather well. can.. if u pay unlimited bill? This looks so good value, have to try then compare to Les Bouchons Steak frites. This place is quite bad. 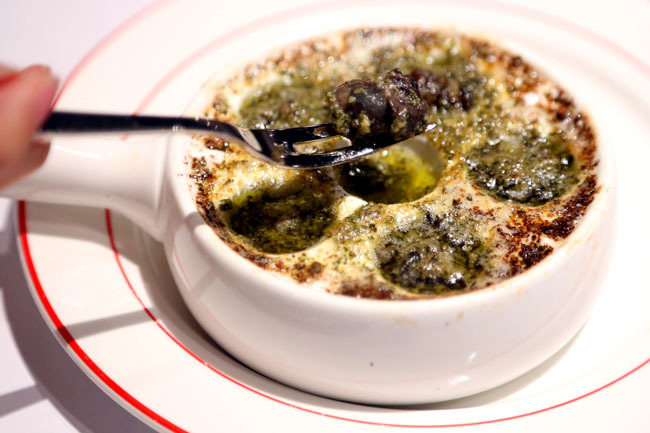 The beef is tasteless… Service is slow… The escargots are too oily. The fries were served cold… And hard…. The beef presentation is nice… But taste like a piece of hard meat with rendang sauce. Quite a.terrible mix. Sorry to hear that you had a bad experience there. Thanks for sharing. The picture of the steak is of which portion? I have a dinner at L’Entrecote today. I ordered medium rare and agree that their streak is good. But the bad part is their appetiser and desert. I had leek and vinaigrette. It was good if I went to some friend who might be just start cooking. The leek was very hard and sticky, not anywhere near tender. The vinaigrette was added with chopped shallots. Too sour and not tasty. The desert I ordered lava cake which was put on the menu is desert of the house. The cake is almost like rubber and inside lava have a rock solid of un-melted caramel. Service is average.Unimpressed ! All-in-all. Steak is good but don’t think about something else.